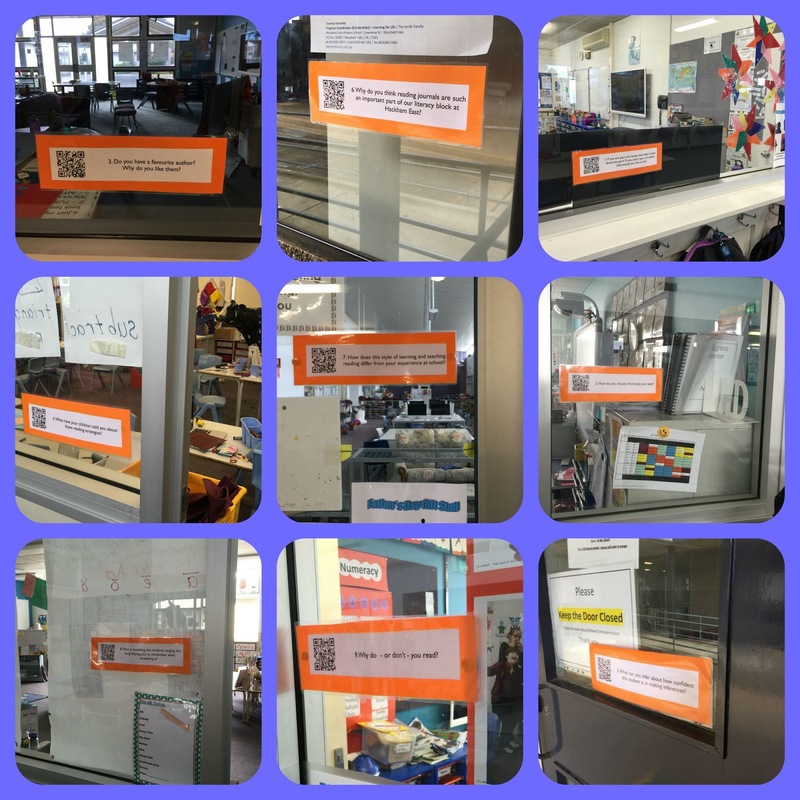 The codes went all the way around the school. Parents had to visit many classrooms to find them. Back to the topic at hand: here's the update. We had a small but significant number of parents participate in the trail on the first day of book week. Some others came back the next day to do it. (Yay!) Some of my kiddos met them, with their iPads, and acted as tour guides. Thank goodness they did! Not all parents had wi-fi, and some didn't have QR readers. Our school internet connection decided to play hide and seek for most of the afternoon too which didn't really help. However... The parents enjoyed the experience. My kiddos were able to talk them through both the process and the literacy concepts that each video covers. From what I could gather, this aspect of the trail was particularly appreciated. Pretty proud of the kiddos for stepping up like this. What did I learn from the process on the day? In terms of the videos themselves: my learning journey continues. I need to improve the sound quality and reduce background noise. The best comments came from children who were guided through very specific - almost leading - questions rather than allowed to freely discuss the topic. You're welcome to view the videos on the school's YouTube channel. We've set them to 'no comments' but I'm keen to hear your feedback through this blog or via twitter (@markeetarp). In terms of the logistics: iPads don't have the world's loudest speakers. I need to provide headphones, especially if it's windy (as it was). In terms of the 'entry form': people rarely carry pens these day so I needed to provide those (which meant my kiddos had to run back to the classroom to grab them). I think a better option would be to set up a google form but that would reduce the drama of pulling a winner out of the hat when we choose the winner of the book voucher (to entice participation). Having said that, it would certainly give us another opportunity to demonstrate another of the e-tools we use in the classroom (random name selector). 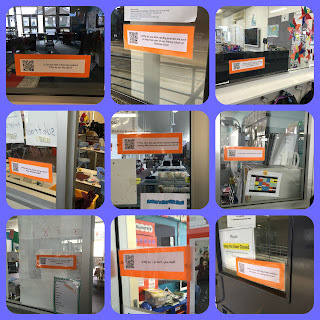 I'm inspired to build on this experience in the classroom - both the videos and the QR codes. Thankyou for your efforts Markeeta, they were appreciated by myself and the parents that did participate. I know that you learned a lot from the experience and you have shared some of those reflections here.